Once vast swathes of the globe were coloured imperial red, and Britannia ruled not just the waves but the prairies of America, the plains of Asia, the jungles of Africa and the deserts of Arabia. Just how did a small, rainy island in the North Atlantic achieve all this? And why did the empire on which the sun literally never set finally decline and fall? 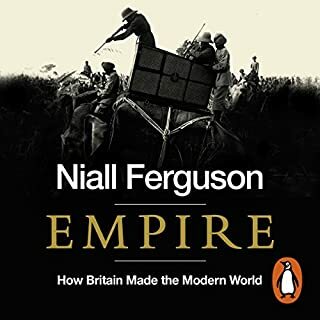 Niall Ferguson's acclaimed Empire brilliantly unfolds the imperial story in all its splendours and its miseries. The rise to global predominance of Western civilization is the single most important historical phenomenon of the past five hundred years. All over the world, an astonishing proportion of people now work for Western-style companies, study at Western-style universities, vote for Western-style governments, take Western medicines, wear Western clothes, and even work Western hours. Yet six hundred years ago the petty kingdoms of Western Europe seemed unlikely to achieve much more than perpetual internecine warfare. It was Ming China or Ottoman Turkey that had the look of world civilizations. In 1914, a new kind of war came about, bringing with it a new kind of world. World War One began on horseback, with generals employing bayonet charges to gain ground, and ended with attacks resembling the Nazi blitzkriegs. The scale of devastation was unlike anything the world had seen before: 14 million combatants died, a further 20 million were wounded, and four empires were destroyed. Even the victors' empires were fatally damaged. The First World War is one of history’s greatest tragedies. 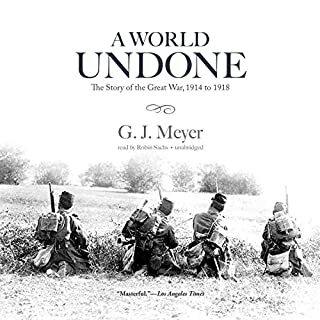 In this remarkable and intimate account, author G. J. Meyer draws on exhaustive research to bring to life the story of how the Great War reduced Europe’s mightiest empires to rubble, killed 20 million people, and cracked the foundations of the world we live in today. World War I is unique in the number of questions about it that remain unsettled. After more than 90 years, scholars remain divided on these questions, and it seems likely that they always will. In the aftermath of World War II, Prussia - a centuries-old state pivotal to Europe's development - ceased to exist. In their eagerness to erase all traces of the Third Reich from the earth, the Allies believed that Prussia, the very embodiment of German militarism, had to be abolished. 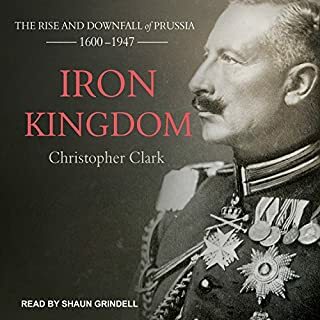 But as Christopher Clark reveals in this pioneering history, Prussia's legacy is far more complex. On May 18, 1860, William H. Seward, Salmon P. Chase, Edward Bates, and Abraham Lincoln waited in their hometowns for the results from the Republican National Convention in Chicago. 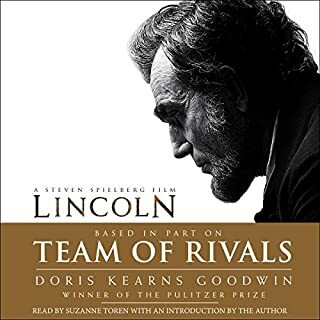 When Lincoln emerged as the victor, his rivals were dismayed and angry. Throughout the turbulent 1850s, each had energetically sought the presidency as the conflict over slavery was leading inexorably to secession and civil war. For over 20 years, a select group of Yale undergraduates has been admitted into the year-long "Grand Strategy" seminar team-taught by John Lewis Gaddis and Paul Kennedy. Its purpose: to provide a grounding in strategic decision-making in the face of crisis to prepare future American leaders for important work. 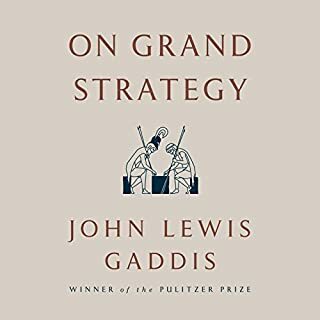 Now, John Lewis Gaddis has transposed the experience of that course into a wonderfully succinct, lucid and inspirational book, a view from the commanding heights of statesmanship across the landscape of world history from the ancient Greeks to Lincoln, and beyond. In The Pity of War, Niall Ferguson makes a simple and provocative argument: that the human atrocity known as the Great War was entirely England's fault. Britain, according to Ferguson, entered into war based on nave assumptions of German aims-and England's entry into the war transformed a Continental conflict into a world war, which they then badly mishandled, necessitating American involvement. The war was not inevitable, Ferguson argues, but rather the result of the mistaken decisions of individuals who would later claim to have been in the grip of huge impersonal forces. That the war was wicked, horrific, inhuman, is memorialized in part by the poetry of men like Wilfred Owen and Siegfried Sassoon, but also by cold statistics. More British soldiers were killed in the first day of the Battle of the Somme than Americans in the Vietnam War; indeed, the total British fatalities in that single battle-some 420,000-exceeds the entire American fatalities for both World Wars. And yet, as Ferguson writes, while the war itself was a disastrous folly, the great majority of men who fought it did so with enthusiasm. Ferguson vividly brings back to life this terrifying period, not through dry citation of chronological chapter and verse but through a series of brilliant chapters focusing on key ways in which we now view the First World War. 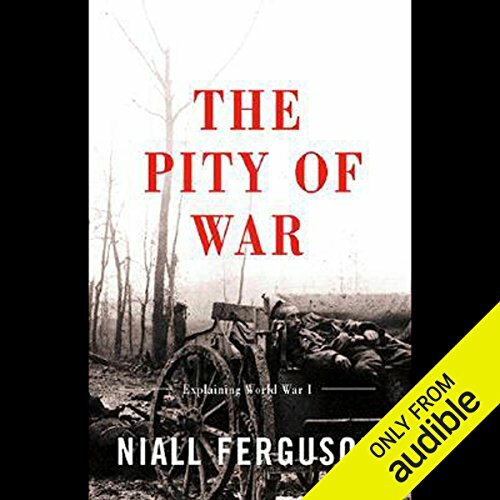 For anyone wanting to understand why wars are fought, why men are willing to fight them, and why the world is as it is today, there is no sharper nor more stimulating guide than Niall Ferguson's The Pity of War. 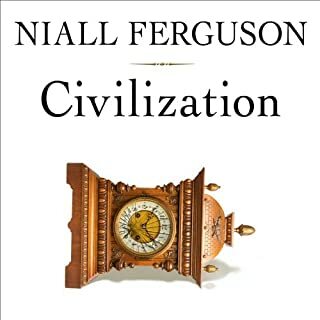 ©2000 Niall Ferguson (P)2009 Audible, Inc. Written for Social Science Wonks -Patience needed! 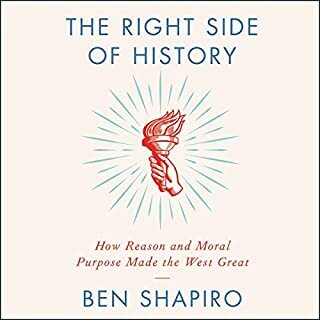 I am not a political or economics wonk so I will admit this book was a huge bore for the first 13 or 14 hours (not sure when I woke up). The remaining part of it was a fascinating study of World War 1 in terms of what happened militarily and politically. I have read 2 other of Niall's books and this was by par the most intense study of them all. His references to books, plays, authors, politicians and poets and any other cultural figures of all the countries involved in the war was very impressive - although as noted above, over the top in terms of detail. I would even go so far as calling it an opus. Its not for everyone but if you love historical detail and insightful analysis - dig in. If you are into the First World War, or just interested in the causes of war then this book is a must. It is also an excellent study of the 20 Century. History does tend to repeat itself, and to hear what is reported to be a truth of the war, open my eyes to the lesser noble aspects that I grew up thinking the war was. We all hear about the atrocities of the Second World War, but perhaps on a lesser level the First World War had its share, committed by all sides. Britain comes out of this looking rather shabby, Germany, the cause of its own nightmare with the Nazis and even the USA is shown to be foolish. A great read. As usual Ferguson's ideas are interesting and well-articulated. 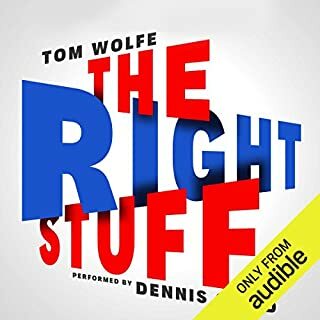 This book loses something in the audiobook medium. There is so much economic and demographic data that even though the thesis is clearly presented, much of the detail behind the argument clearly relies on the tables and figures. This is not to say that the book is not worth a listen; only that it is not so well-suited to audio as Ferguson's other books. Also I find the narration a little flat, which can be corrected somewhat by a faster playback. A true history of the reason for war. 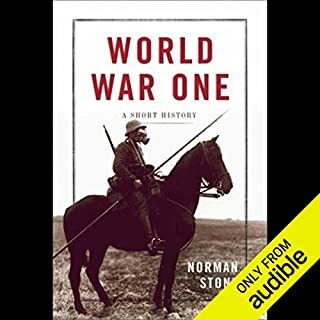 A long book, and a little dry, but a great history for the reasons for WWI. He is not an appologist for either side, like most authors. He just gives you the facts. Downloading the PDF is must for this book, it is 29 pages! Not a bbok for those looking for a light listen. I got this title because of his book, "The Assent of Money" and this did not disappoint. Good financial and sociological study of world war 1 but drags at places. I would recommend it for a deeper understanding of the war but not as an introduction to the topic. Though narrated by the great Graeme Malcolm of the Hamish Macbeth character in MC Beaton Highlands mysteries, have no illusions that Pity of War has any narrative. It is strictly a textbook spoken aloud, with tables and statistics. It is long, dry, and difficult to follow for the average listener. 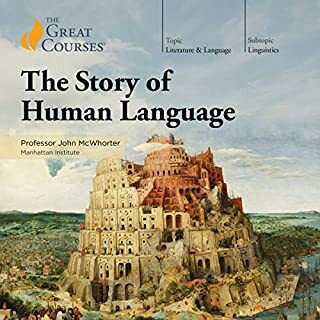 This book should remain a bible of a graduate history course, not offered to audiophiles looking for characters studies. I am a huge fan of Niall Ferguson, but this is too much. 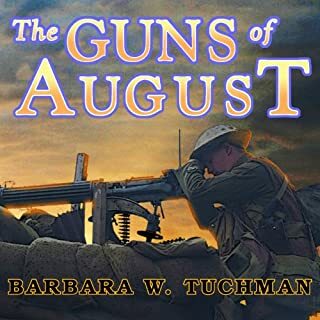 Admittedly, I was looking for a history of World War I, not book on the economic questions related to WWI, but this is too weighed down with statistics for audio. I was disappointed in the book. I really had higher expectations based upon a number of the reviews I read here. Nevertheless I did learn some things from the listen about the events around WWI so it was worth the time. No. Blaming England solely for WWI is is simplistic, and Ferguson couldn't back of his hypothesis. 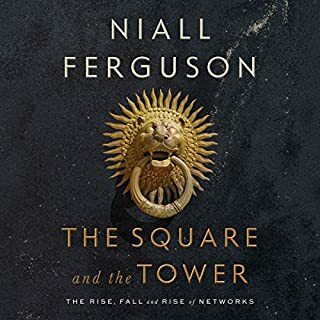 Would you be willing to try another book from Niall Ferguson? Why or why not? Was The Pity of War worth the listening time? An economic look at WWI. Ferguson explains why the war was a stupid waste of money and people. As is typical in many of Ferguson's books, the lists of statistics slows down the listen in audiobook format. Much better to be studied in hard copy at the library while taking notes than while commuting in traffic. The information he shares in this work, adds to my belief in the conspiracy that global elitists make wars to reduce population and get sick enjoyment from watching the dreadful drama.